We have all sorts of doorprizes to give you! You too can thank them by supporting them the next time you are looking for a plug-in, books, dvds, footage, training. Many have new tutorials / tips / project files for their end users, check out their websites for the latest news. Thank you Adobe for your support! Whether your a beginner or a veteran Adobe user, you should probably check out their site again. Did you know that there is a Community Page at the Adobe site with tips/tricks/FAQs about their products? Coders have you checked out the cookbook pages? Some events are Memoriable Ours are Unforgettable... Olympic Collection the definitive party, gala and conference centre. Located on Los Angeles' Westdside, since 1991. Thank you Mac Mall for our venue! MacMall Is the Best Place to Buy Apple Products, AppleRelated Solutions and Consumer Electronics! Come early to check out the extensive selection and exclusive deals. The premier source of royalty-Free stock footage. New clips are added each month! Sign up on their site to get your free footage today. KnownHost is a privately held professional web hosting company that specializes in Virtual Private Servers and Dedicated Hosting. Technology and support is centered around three state of the art data centers, one in Texas, one in New Jersey and the other in California which feature Premium Bandwidth such as Internap, Level 3 and Savvis. With uptime, fast support, and high performance hosting being our core focus we continue to be one of the most recognized hosts in the world. Depositphotos is the fastest growing stock photo agency in the world. Founded in 2009, Depositphotos offers over 5 million stock images sold under royalty-free licenses. The stock photo library increases daily by thousands of images, carefully checked and selected by moderators. Depositphotos serves customers worldwide and is the best source for royalty-free photos and vector art. Media Technology books, ebooks, videos and tutorials Expert answers on digital imaging and photography, gaming, immerging web technologies, animation, film and video, postproduction, audio, music technology, broadcast and theatre. Snack Healthy, the Thin, spreadable pretzel cracker. Your on-line training library. Learn CS6 here! Must have software for your MAC! We provide exceptional computer desktop and business skills training. Your on-line training library. NEVER, stop learning. You need a boost and you need it fast. Unlike most energy products, EBOOST is made of 100% natural ingredients. Each packet and energy shot also amps up immunity and focus, so you can survive office meetings and nights on the town. Create your memories ....... 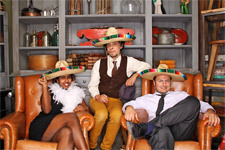 Snap Fiesta is an open-set photo booth service that provides guests with an entertaining image-capture experience. It utilizes high-quality, professional camera equipment and lighting systems to create the best and most superior product possible. A large selection of customized props, colorful backdrops and immediate on-site printing allow for the guests to walk away with a fun photo memory of the event. More info at SnapFiesta.com. Like them on facebook.